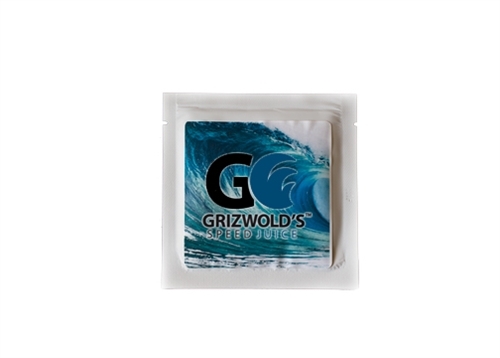 Grizwold's Speed Juice™ increases your board speed by creating a water repellent layer on the bottom of your board. This water repellent layer allows your board to glide over the water from the reduction of friction as much as 25%. A 3 Pack NanoPax® comes with three towelettes containing the specialized Grizwold’s Speed Juice™ solution. Each single NanoPax® towelette will cover up to approximately 15 square feet.